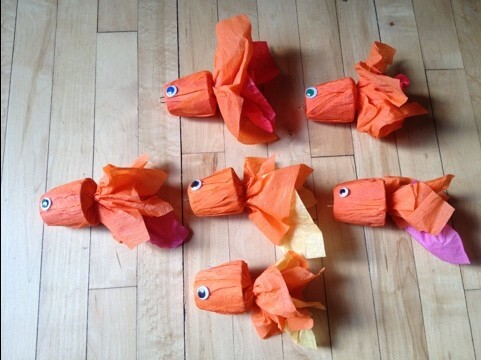 These crepe paper fish are part of a fishing game for an upcoming carnival birthday party. 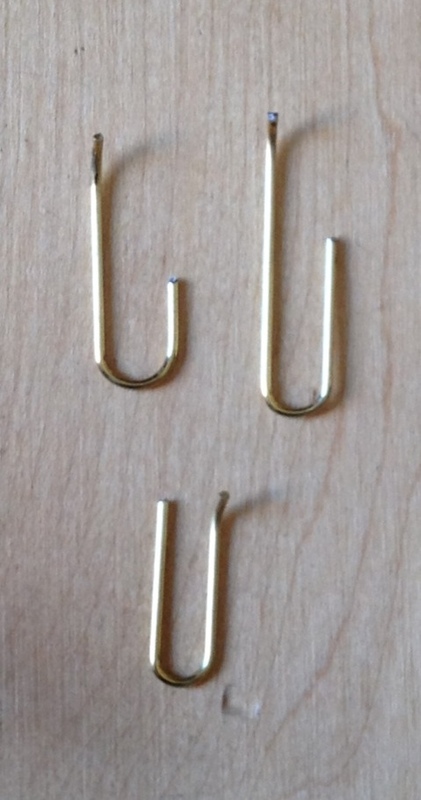 Use wire cutters to cut a large paper clip into three sections. Slightly bend the end with pliers. These will be what the kids hook with the fishing pole. Note that if you using heavier favors or bigger items, you may want more of a bend so they don’t pull out. Also, I used plastic cups, so the clips were held pretty snug. Take two squares of paper and lay them on top of each other at an angle. Since I used 3oz cups 12×12 squares worked perfectly. I used two colors, but you could stick with just one. Fill the cup with favors and place in the center of the paper. 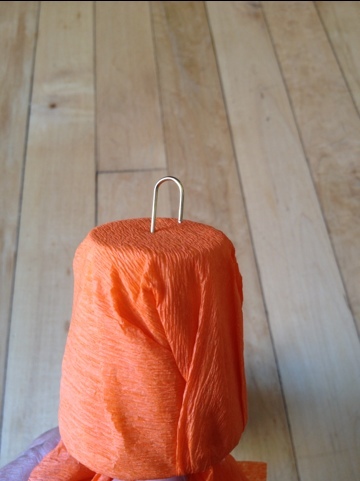 Wrap the paper around the cup and then tie with string. Shape the ends of the paper to make it more tail-like. 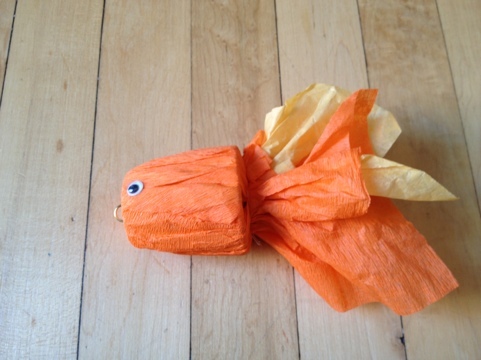 Use the push pin to make a small hole on the front of the fish. This will make it easier to insert the paper clip. Push in the bent end of the clip. 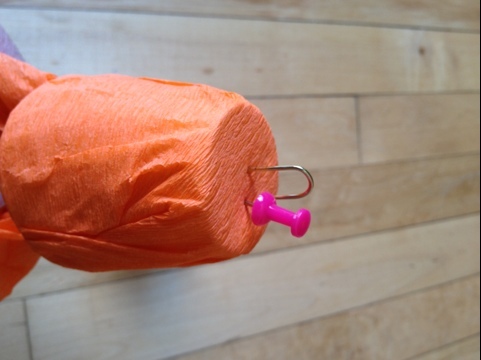 Use the pushpin again to make a hole that’s aligned with the other end of the clip. Then insert. Add eyes (either googly or just stickers) and you’re done. 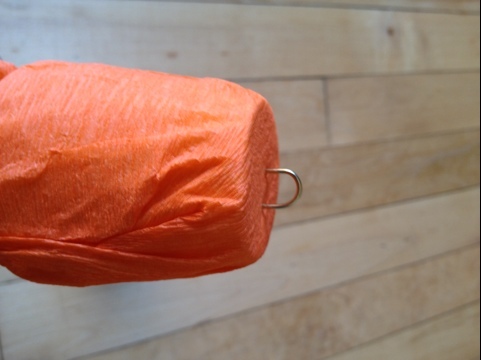 what did you use for the “hook” to catch the fish with? Was this game set up so the kids could play without an adult to help them? I used part of a paper clip. I made a mall loop on one end to thread the string through and tied it to a stick. The kids at the party were able to fish by themselves (the youngest was 5). Hi there this is the cutest thing ever. And just saw your Alice in Wonderland tea party too. Awesome. You could use the same basic idea to get a general shape. 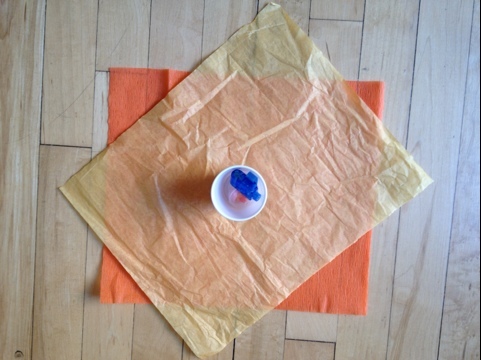 Put a ball of tissue paper into the cup and then cover with a piece of crepe paper to make a rounder shape. 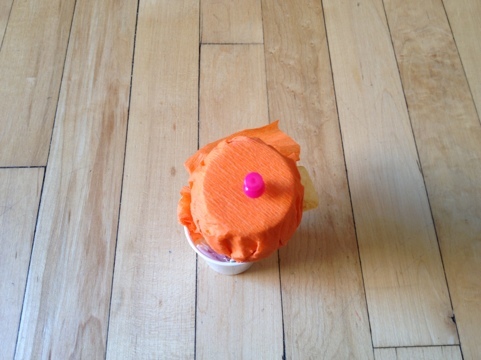 Leave part of the cup sticking out for the snout and glue/draw nostrils on the end. 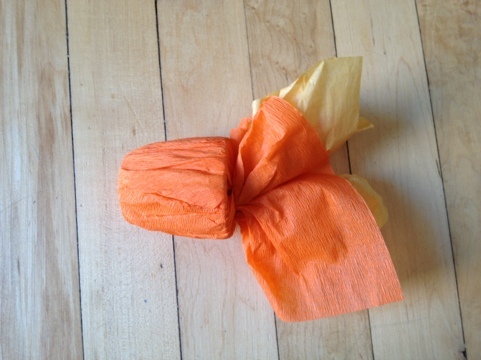 Maybe twist the ends of the crepe paper together to make a curly tail. Hope that helps. Very cute idea! 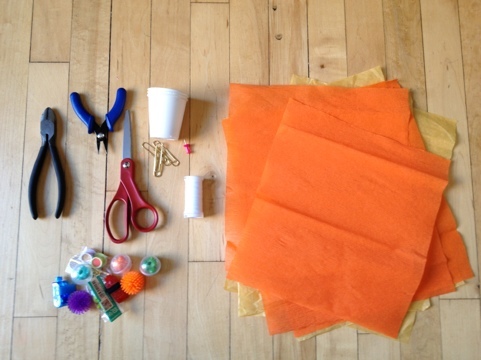 Where did you find the crepe paper? Thanks. Thank you! I ordered from darice.com, but consumercrafts.com had it as well.